Your product is subjected to merciless competition. This means that your focus is on merchandising your baked goods. The technology of the packaging material plays a lesser role. Packaging is our core business. 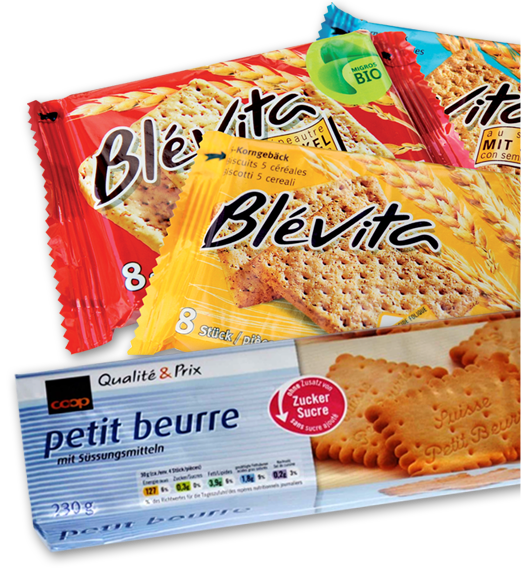 We focus on high-quality packaging materials that protect the product and give visual impact on the shelf. Our packaging materials for baked goods are tried and tested. The only things that need concern you now are: price/performance, flexibility, minimal inventory and 100 % dependable delivery – we offer all this plus all common packaging materials for your baked goods. So you can fully concentrate on your competitive abilities.